John Schnatter has experienced a very public downfall from his once lofty position of Papa John's Founder, CEO and Chairman. Since it was revealed he used a racial slur on a conference call in May, the human pizza mascot had his image erased from all company materials, was evicted from his office, and ousted from the company entirely by a board unwilling to deal with the PR meltdown. A series of sexual harassment claims and an allegedly toxic workplace environment didn't bode well for Papa's tarnished public image, either. "The Board will not let me talk to you and that has been very difficult. I can only imagine how difficult this entire situation is on you, and I’m very sorry you all have to go through this. You are the heart and soul of this company -- please know that in every minute of every day you are all in my thoughts and prayers." He finishes, writing: "We will all get through this together, somehow, some way." The website also boasts a series of legal documents outlining Schnatter's current suit against his former company, along with a biography section listing a plethora of personal accolades. There's also links to various news articles about the company's implosion, none of which are reports about the chain's slumping sales and ailing corporate sponsor business. Rather, the site's press section points to articles framing Schnatter as more of a fearless maverick than an embattled entrepreneur scrambling to recover his life's work. 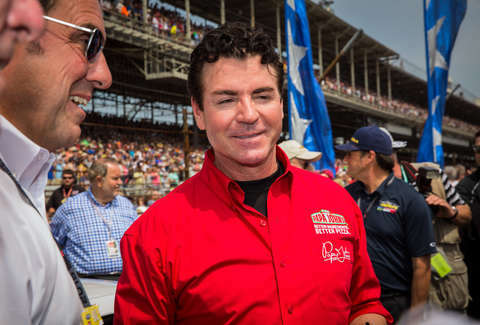 What might have originally appeared to be a fast and controversial blip in the news cycle, John Schnatter's marathon departure from the company appears to be stretching into the extra-innings.